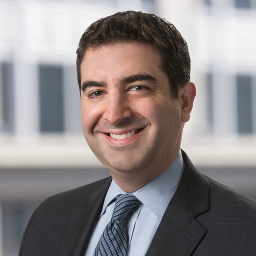 Bret Cohen practices in the areas of privacy, cybersecurity, and consumer protection. He counsels clients on a wide variety of privacy, advertising, and other consumer protection matters including compliance with the FTC Act and Fair Credit Reporting Act, security and privacy incident remediation and notification, and cross-border data transfers including U.S.-EU Safe Harbor certification. Bret has worked on four Hogan Lovells White Papers published over the past two years analyzing various aspects of government access to private sector data: (1) A Global Reality: Governmental Access to Data in the Cloud (2012), comparing the mechanisms international governments can use to access Cloud data during the course of ordinary law enforcement activities; (2) A Sober Look at National Security Access to Data in the Cloud (2013), comparing the mechanisms international governments can use to access sensitive foreign intelligence information; (3) An Analysis of Service Provider Transparency Reports on Government Requests for Data (2013), comparing the number of government access requests to Cloud service providers who have published those numbers; and (4) Individual Rights to Challenge Government Access to Data in the Cloud (2013), comparing the ability of citizens and non-citizens to challenge government access to data in the U.S., France, Germany, the UK, and Australia. Bret received his JD from The George Washington University Law School, and has degrees in computer science and information systems from the University of Maryland.